If you have recurring pain in your big toe after drinking red wine or other alcohol, you may have gout, a type of arthritis. While gout typically affects the big toe, you can develop it in any joint, even if you never drink alcohol. Alcohol, however, does worsen the disorder and increases your risk of developing symptoms, which include pain, redness and swelling. Gout causes severe pain in a joint; in 50 percent of cases, gout affects the big toe, a condition medically termed podagra, according to the American Family Physician. The toe turns red and shiny, swells and is so painful that even the weight of a sheet causes pain. Men develop gout more often than pre-menopausal women, but after menopause the incidence in women increases. High levels of uric acid in the blood cause gout; uric acid levels rise when you either produce too much uric acid or don't eliminate enough through the urine. Many factors, including alcohol intake, can raise uric acid levels. Purines, substances that break down into uric acid, occur naturally in the body but are also found in high amounts in some foods. Red meats -- especially organ meats -- asparagus, mushrooms and anchovies contain large amounts of purines. Some red wines, including port, contain purines and are more likely to raise uric acid levels. 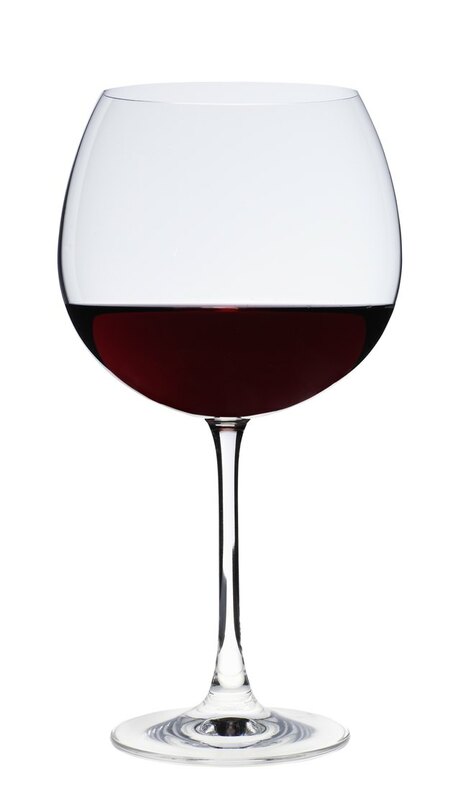 In addition to containing purine, red wine also has alcohol, which metabolizes into lactate. Lactate contributes to the body's retaining urate, the salt version of uric acid, according to the Aging in Canada website. This effect could also raise uric acid levels. Not all cases of gout can be attributed to drinking red wine -- other kinds of alcohol increase your risk of gout symptoms as well. A Harvard Medical School study reported in the April 2004 issue of "Lancet" found that while beer conferred the highest risk of gout, spirits also increased the risk. Drinking moderate amounts of wine, according to this study, did not increase the risk of experiencing gout symptoms. A Boston University School of Medicine study, however, reported in the 2006 issue of "The American Journal of Medicine" that alcohol of all types -- including red wine -- did increase the risk of recurrent gout symptoms. Although not all studies show that red wine increases your risk of developing gout, avoiding alcohol is still a good idea. Sudden changes in uric acid levels, which can occur if you've been fasting and binge on alcohol and foods high in purine, can cause gout to flare. Symptoms of gout usually appear within 24 hours after drinking alcohol, according to the 2006 issue of "The American Journal of Medicine." Is Orange Juice Bad for Gout?